GE Grid Solutions introduces HYpact. HYpact is a hybrid compact switchgear assembly which consists of circuit breakers, disconnectors, and earthing switches. Current and voltage transformers as well as cable connectors can be added. Its modularly design allow for a large variety of different layout configurations. HYpact enables more economic substation designs and operation, with savings to be achieved in space consumption, preparation planning, transport and at-site installation, switchyard cost and maintenance. But space saving is only one advantage. Increasingly operators choose HYpact even where space is ample, just to benefit from the long maintenance periods of circuit breakers and gas-insulated disconnectors and earthing switches. 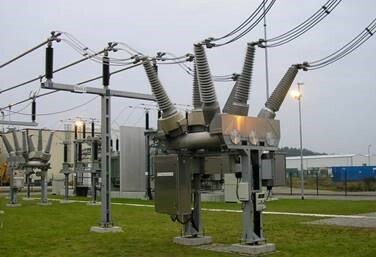 Compared to conventional air insulated substations, the maintenance-free periods of substations using HYpact only can be tripled or even quadrupled. Beside savings in space and maintenance, HYpact largely reduces the switchgear’s exposure to environmental influences, thus providing an economic alternative to gas insulated substations in places being heavily polluted, or under extreme weather conditions. Due to the reduced number of single components, the substation‘s civil work requirements, such as foundations, cable trenches, and high voltage connections, are simplified. Installation works is limited to one to two days per bay only, which often can be done without our specialised supervisors. Beside its suitability for heavily polluted environments, HYpact is the high-performing choice in regions exposed to seismic activity. It’s compact design with low center-of-gravity is ideal to withstand seismic acceleration, as proven both by shaking table tests and by finite elements method simulations.